Known as the Little City by the Sea, Wachapreague has a colcorful history. The name of the town came from the Wachapreague, an Algonquian people who resided in the area centuries ago. It became a seaside resort with the Hotel Wachapreague, a lavish, four story building with 30 guest rooms. Hotel guests included President Herbert Hoover as the town became a popular destination of visitors from the north. Ravaged by hurricanes, the Great Depression, and fires that destroyed the old hotel and part of the town, Wachapreague today has about 200 residents. 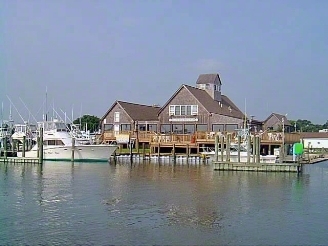 It is famous for its flounder fishing, marina, and seafood. It is one of the last large wetland habitats in the world with opportunities for bird watching and walking along unfettered barrier island beaches.